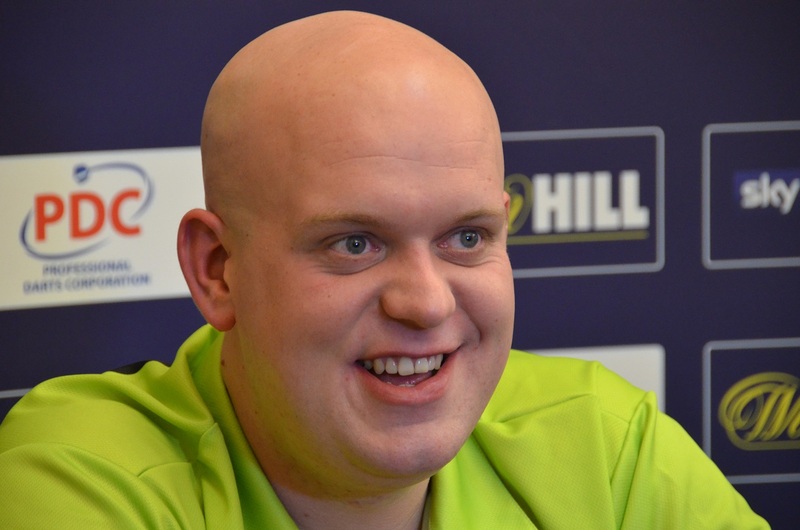 Michael van Gerwen was the youngest player to take part in a BDO World Championship so far. He was 17 and exactly 257 days. He had qualified for the tournament as the third ranked player of the BDO/WDF ranking. Van Gerwen was a very successful youth player, aged 14 he stood in the final of the Primus Masters Youth tournament and he "collected" youth titles in 2005 and 2006. In 2006 he started to win in men's tournaments as well and reached the semifianls of the World Darts Trophy where he lost against Martin Adams but showed an impressive performance. In the same year he won the World Masters - he was the youngest ever winner of the tournament. He was the fovourit of the World Championship 2007 but was eliminated first round. As Vincent van der Voort and Jelle Klaasen he announced his switch to the PDC in the night of the final. But in contrast to his two Dutch friends he needed some time to settled there. He only could win a single Pro Tour event in April 2009. It took till 2012 before van Gerwen finally started to win Major tournaments. In October he won the World Grand Prix in Dublin. In November he stood in the Grand Slam Final and he reached the final of the PDC World Championship 2013 where he lost to Phil Taylor. 2013 vna Gerwen had a very strong year winning the Players Championship Finals and the Premier League and reaching the semi-finals of the European Championship and the World Matchplay. 2014 he again stood in the final of the PDC World Championship and this time he won the title. By this he replaced Phil Taylor as the new number 1 of the PDC Order of Merit.